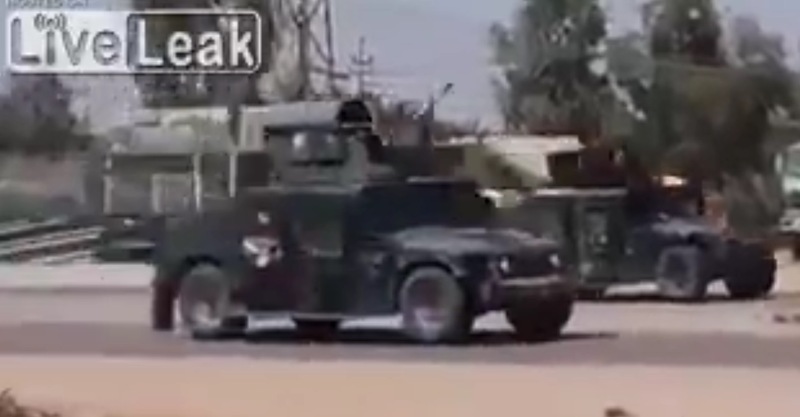 The following video shows the last of the Iraqi army fleeing Ramadi. The western Iraqi city of Ramadi on Sunday fell to the Islamic State of Iraq and Syria after the militants relentlessly bombarded the capital of the Anbar province with suicide bombers. 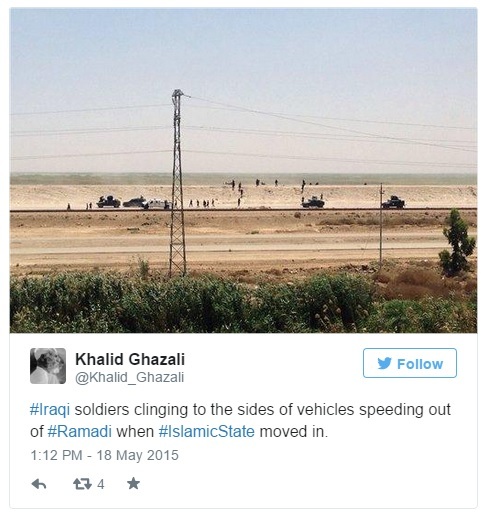 A message from the terror group claimed it held the entire city of Ramadi after Iraqi forces fled. After capturing Ramadi, ISIS took to social media to taunt President Barack Obama over seizing U.S. arms and materiel the Iraqi army abandoned as it fled the city.